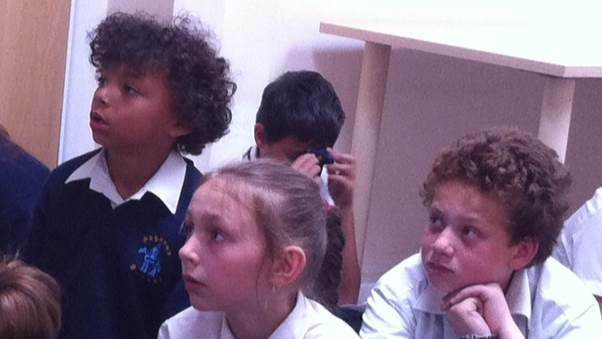 How often does an author make a school visit – and find that every child in the room has read her book? 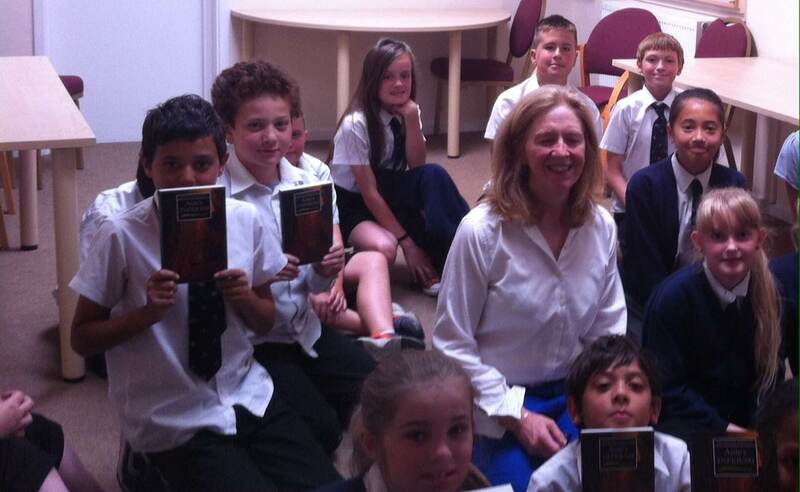 But that was my experience visiting Year 6 at Pegasus School in Oxford last week. 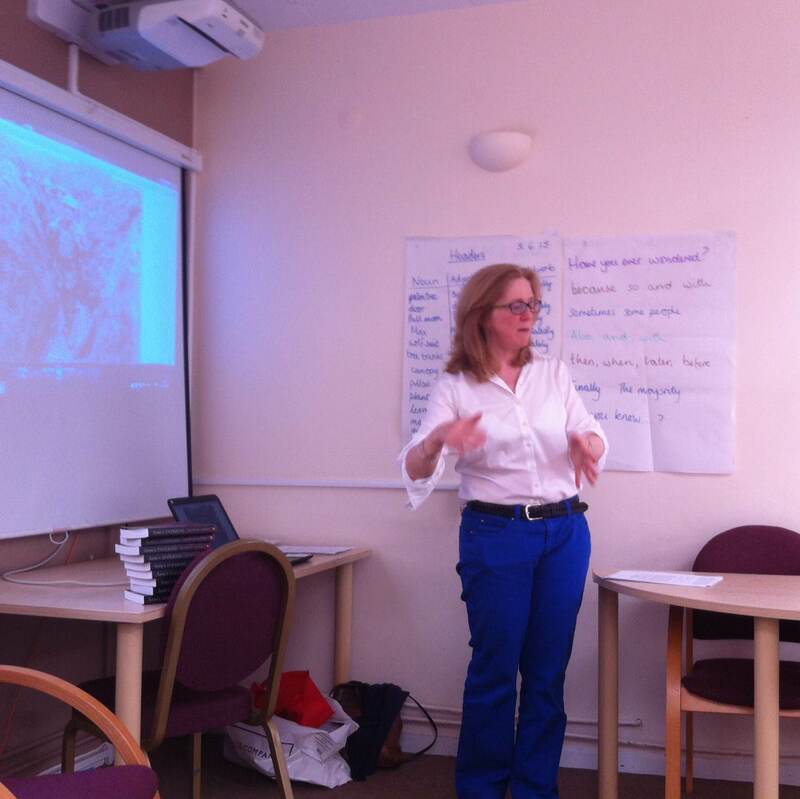 The inspirational Jill Hudson, head teacher of Pegasus before taking on the overall headship of the Blackbird Academy Trust, to which Pegasus belongs, liked Ante’s Inferno so much when it came out in 2012 that she chose it for the Year 6 Reading Groups, effectively making it part of the curriculum. Now children read it all together as they move into Year 6 and discuss its themes of bullying and self-knowledge against the story’s background of classical mythology, fantasy adventure and the First World War. This meant that for the first time ever, my task wasn’t to introduce my audience to Ante’s Inferno, but to delve more deeply with them into characters, story and the inspiration behind them. My standard talk describing Dante’s imagined journey through Hell (with lots of dark, scary images by the great illustrators) always grabs children’s interest but this time it was even more exciting as they recognised the shape of the Underworld into which Ante, Florence and Gil descend, together with the monsters and mythological creatures they meet. It was wonderful to see the enthusiasm in their faces and hear it in the questions and comments that flowed throughout the talk and after – not just because it showed how much they loved the book, but also that they understood it. A story that interweaves such rich and apparently unconnected themes as Dante, classical mythology and the First World War isn’t – as I was warned by numerous adults – far too difficult for primary school children to grasp. How would they respond to my new book, The Tragickall History of Henry Fowst (out 28 August 2015), with its equally ‘demanding’ themes of Elizabethan magic and pacts with demons? Well, here was the chance to try it out. I finished my visit by reading an extract from the book, half-wondering if it would be more appropriate for Years 7 and 8. I needn’t have worried. ‘Ooh, I really want to read that!’ cried a curly-haired boy at the end before leading the group in spontaneous clapping.